I just say it right at the beginning this book was hard to put down. 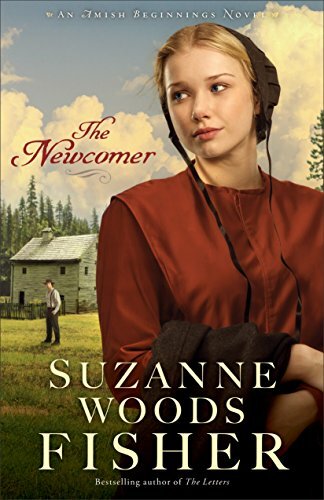 The Newcomer was a page turner from the beginning and I never wanted to skip to the good parts. I was just taken back in time to the New World in 1737. With wonderful descriptions I could see the old shops, the cobblestone pathways, and a vast wilderness that now we can only imagine. I began to feel what it must of been like to land in a strange place and understand why they would want to come. At the same time, I was afraid for the people with their limited understanding of the surroundings. They had to learn new ways and establish new priorities as soon as they landed. It was a hard life. Characters flowed so well in this book, I loved them all! I have to say that reading about one notable man from American history was kind of neat. It was fun to read about his eccentrics here. The well researched history combined with romance makes this book a wonderful, wonderful read! This is the second installment of a series but I feel as though you can read it alone. I was given this book by Net galley.. I was not required to write a positive review. All opinions expressed here are my own.